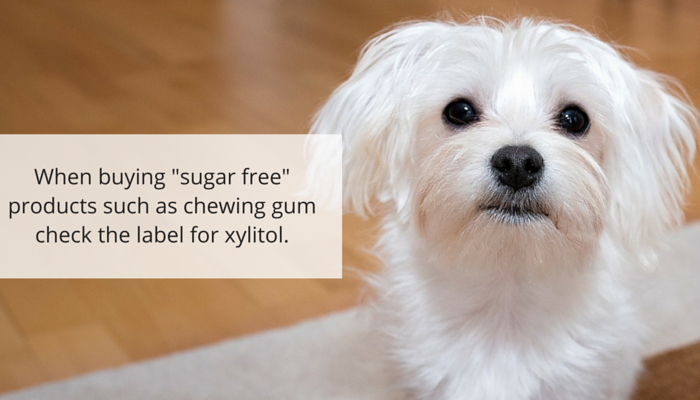 Xylitol is an artificial sweetener commonly used in sugarless gums, and it can be fatal to dogs. And unfortunately since more companies have been using it in their products there have been more reports of xylitol poisonings. Unfortunately xylitol is used in a wide variety of food products, but there are some ways to cut down on the risk of exposure to your dog. 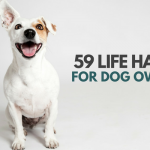 Here’s 5 things to know about xylitol and your dog. 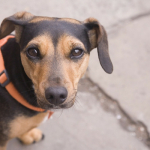 Xylitol can be lethal to dogs, and it only takes a very small quantity to do serious damage. The signs toxicity can occur in as little as 15 minutes. 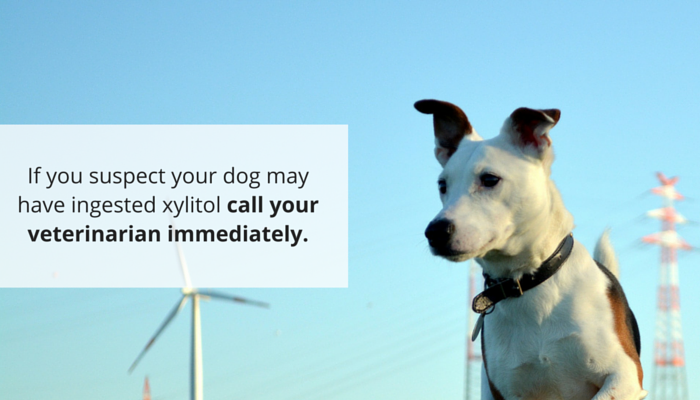 If you suspect your dog has ingested xylitol call your veterinarian immediately. If you keep gum or candy in your purse make sure it’s out of your dogs reach at all times. Xylitol is used in a lot of various products from chewing gum to dental care products. The safest way to prevent an accidental poisoning is to check the labels yourself. Go through all your gum, candy & “sugar free” foods. 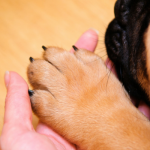 If you find any items that contain xylitol make sure they’re out of your pets reach. Xylitol poisoning in dogs is a medical emergency, it can cause serious damage (or death) if not treated promptly. Here’s a bigger list of products & brands by category of items that contain xylitol, but it’s not 100% comprehensive so remember to check labels yourself. 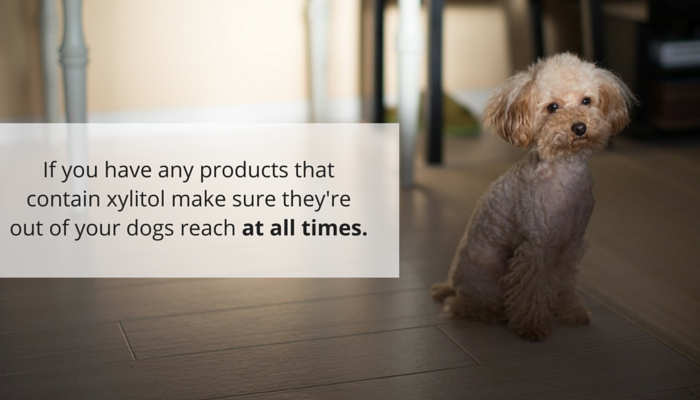 If you have any items that contain xylitol in your home make sure they’re out of your pets reach at all times. Start reading labels on “sugar free” food items and stick to the ones that don’t contain xylitol. The best way to prevent an accidental poisoning by keeping xylitol containing products out of your home. When you’re shopping start checking the labels on anything labeled “sugar free,” especially chewing gum. There are many xylitol free options available. 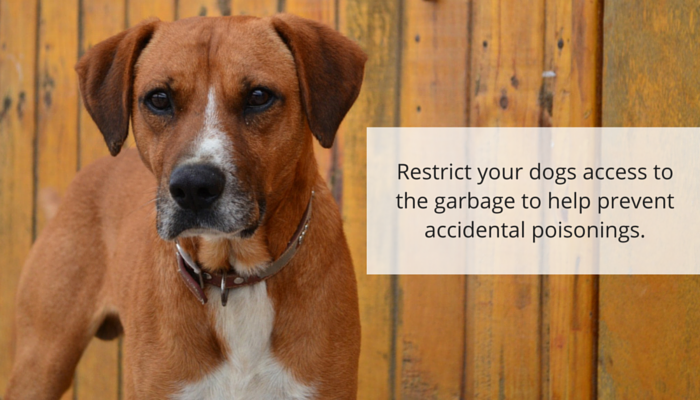 Scavenging through the garbage is one of the common ways dogs get poisoned. Use a garbage can with a lid (tied with bungee cords if necessary) or keep it under the sink. 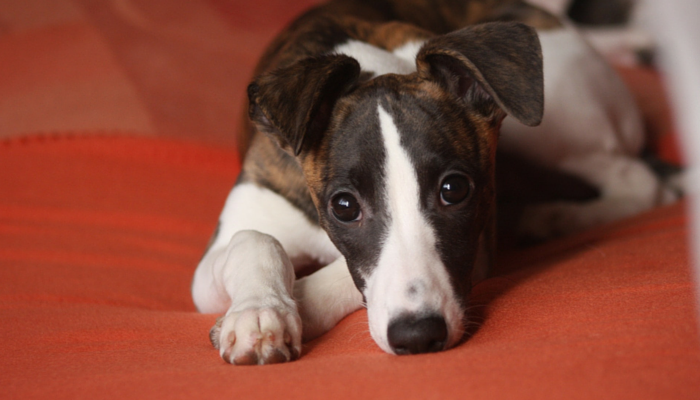 If you suspect your pet has ingested xylitol contact your veterinarian immediately. Let’s help keep our pets safe from these potential hazards in our homes. Read your labels, and keep any items that contain xylitol out of your pet’s reach (up in cabinets rather than in your purse). 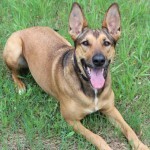 You can help by spreading to the word to all your dog loving friends. Yes, we had heard of Xylitol in gum and recently in some peanut butters. One of my worries when out and about with Archer is having him unknowingly pickup a piece of gum either off the ground or get a piece off the under side of a chair or table while eating lunch. Our friend’s guide dog pup, Winter did get into a pack of gum containing Xylitol, but fortunately our friend quickly got him to the emergency vet before Winter had any adverse effects. I’m glad your friends dog was OK, such a scary thing to happen. Like you I’m often worried about what my dog might end up picking up when we’re out & about. I’m hoping as more pet owners voice their concerns these companies will choose to go with another sweetener. There are a lot of products with Xylitol. Maybe we should think about a ban on the product. It doesn’t sound like an ingredient that is good for a human’s body either. Thank you for sharing this information.